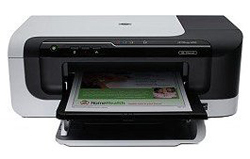 PC World has reviewed the HP Officejet 6000 Wireless color inkjet printer. This printer is able to print 32 pages per minute or so HP claims. PC World ends up giving the HP Officejet 6000 Wireless an overall score of 3.5 stars out of 5 possible. The reviewer likes that the printer has a low purchase price, the ink is also pretty inexpensive and it has nice features like automatic duplexing and wireless connectivity. On the negative side we find that the HP printer makes photo prints that are a bit too yellow/green, but they are still good. Overall the Officejet 6000 seems to be a good printer, but do not expect wonders from this cheap printer. Read the full review of the HP Officejet 6000 Wireless printer here.